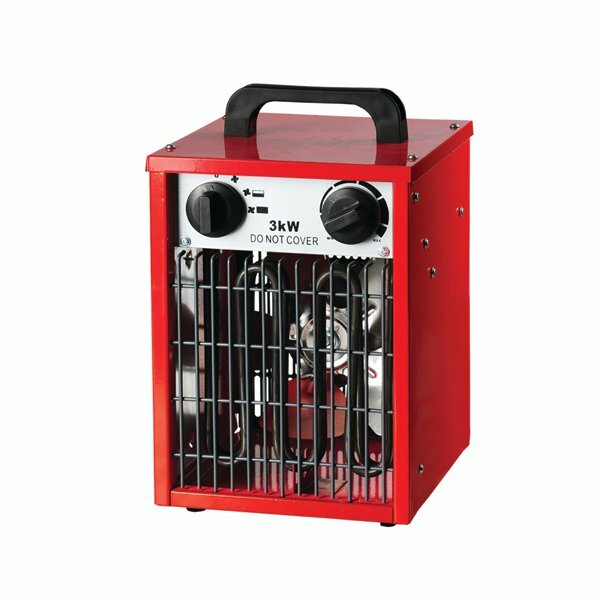 This Industrial Fan Heater provides portable heating wherever you need it. The compact design provides a steady stream of fan-assisted heat with three heat settings and adjustable fan speed for efficient use. The sturdy case features a carry handle for easy mobility. There's also a cold air setting for cooling when necessary.